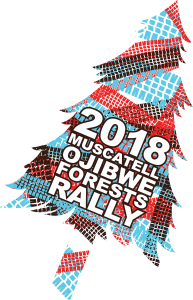 2016 marked the 36th anniversary of the Ojibwe Forests Rally and its 35th event. As with any event with nearly a 40 year history its history is the story. In 1980 the Ojibwe Forests Rally started as a TSD (Time Speed and Distance) rally with a goal of coming in exactly on time. The rally was run on open roads with street cars. Precision was key, not speed. During the next 35 years the rally evolved it changed formats from a TSD into what it is today, the fastest time wins. The competition sections of roads are closed to the public and while precision is still key, it is a different definition of precision. Over the decades the rally went through more than just a format change. Sanctioning bodies changed, organizing volunteers and committees changed and the host community changed. 2012 probably brought the most recent and dramatic changes to the Ojibwe Forests Rally. After a traumatic 2011, which resulted in a cancelled rally, the organizing committee knew changes had to be made. In 2012 a new chairman and a new host community, Detroit Lakes, Minnesota, were brought on board. Detroit Lakes welcomed the rally as an addition to help close out the summer and the new chairman brought rally heritage and immediate goals to achieve. The Ojibwe Forests Rally wanted to regain their championship status and bring racing into the city. 2012 was a successful rally with 31 teams competing in a condensed one day rally. Only 2 months after the rally, the Ojibwe was readmitted into the Rally America championship. 2013 marked the return of the national competitors to the Minnesota stages, names rally fans wanted to see again. Block, Pastrana, Higgins, O’Sullivan and L’Estage. It was a fantastic achievement for the rally, but 2014 brought possibly the biggest challenge. In August of 2014 in front of 4,000 fans the Ojibwe Forests Rally, after 9 months of negotiation, closed down the busiest and most high profile areas of Detroit Lakes to use as the final stage of the rally. In 2015, it was done again, twice, with an estimated 9,000 fans, live video feeds and the final two cars drifting through the city streets. The Ojibwe Forests Rally was once the rally every other US rally looked to for guidance. In 2013, after a troubled decade, the rally decided to take back that role. Every year it will be bigger, more spectacular, industry leading and never something to be missed.